Poor fitness, alcohol issues, disrespect for the blue jersey are some of the reasons identified as key factors in the Manu Samoa’s failed campaign which has led to the resignation of the Head Coach. 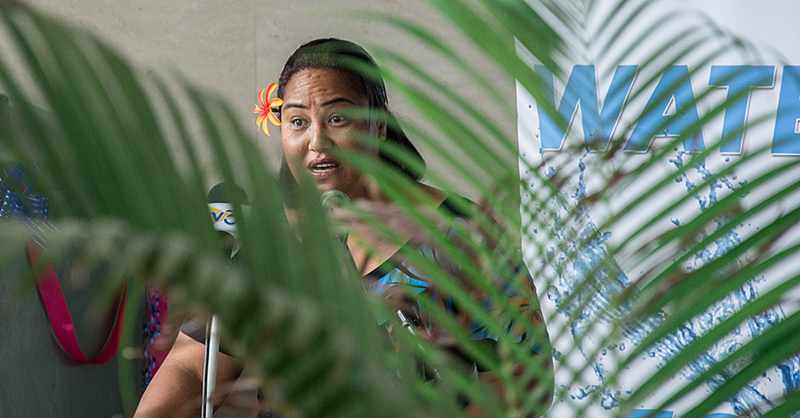 The issues are highlighted in a report by a Review Committee appointed by the Samoa Rugby Union (S.R.U.) Board following the team’s recent form which has seen Samoa’s international ranking slump to an all time low of 16th in the world. Having finished bottom of the Pacific Nations Cup, Samoa has also yet to qualify for the Rugby World Cup. 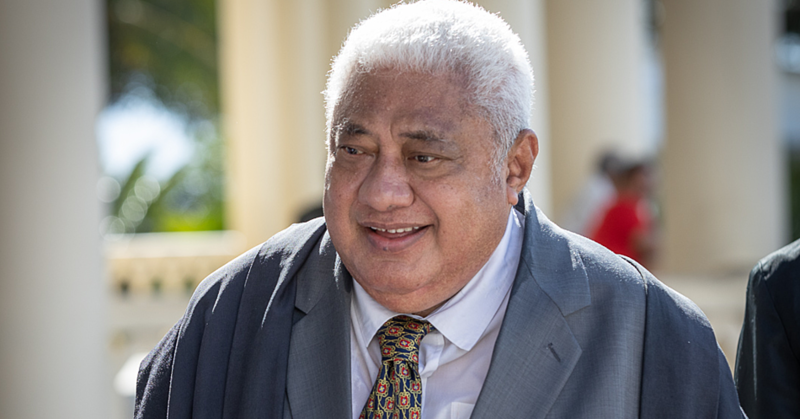 The Review Committee was chaired by Masoe Norman Wetzell with members including Leituala Dr. Ben Matalavea, Su’a Peter Schuster, Namulauulu Sami Leota and Mike McGovern of World Rugby. A copy of the review obtained by the Samoa Observer shows that the Committee recommended changing the Head Coach. “That a change in the Manu Samoa leadership is evident starting from the Head Coach,” the Committee’s report recommends. The report details a disastrous campaign plagued by numerous problems. “There were five players that left campaign before it is completed. This had greatly disrupted the team’s preparation. Two of these players that left was due to family and personal reasons, whilst the other two stated pressures from their clubs. One had left without any communication with team management. When the players turned up for the international season, many were unfit. The TA also went on to suggest that players should be more involved making them accountable for their own futures and that at no stage of the campaign he (TA) got the feeling that the boys would walk over broken glass to win for each other. The Committee was given two weeks for the review and submit their report. This was identified as one of the key concerns in the team as players turned up with poor fitness level. This has been an ongoing problem for a long time. The Union invested ($154,738ST over 2 years) into a software program (Smartabase) in order to track players conditioning during their club seasons but has not proved to be effective and produce the desired outcomes, as the truthfulness of this information relies on the players honesty. On top of this there was a comprehensive MS visitation (HC and Manager - $82,991ST over two years) to track players and discuss availability/team expectations before selections, as well as the Strength and Conditioning Coach that the SRU has invested in (114,781ST p/a), but this still continues to be the problem. It is recognized that the physical condition of professional Northern Hemisphere is a major challenge for most Tier 2 Unions. The players need to take greater ownership and have more accountability for arriving at the test window in peak shape and ready to play. The team kept changing coaches and this is a disturbance in itself as different coaches provide different styles and ideas causing inconsistency in playing styles. In this past MS campaign there were 4 different coaches for the forwards. Some coaches were felt to have been below par of international standard and performed poorly during the campaign. As the coaches are mainly sourced from NZ, the Lions tour had made it difficult for coaches/TA’s to commit to the full course of the campaign. Proper planning and early communications could have better resolved this problem. There were five (5) players that left campaign before it is completed. This had greatly disrupted the team’s preparation. Two of these players that left was due to family and personal reasons, whilst the other two stated pressures from their clubs. One had left without any communication with team management. This is understood to have never happened before in any MS campaign and we believe it shows a level of disrespect, pride and priority from these players to the HC and his management, the players, the people and country they represent. MS Management will need to work closely with the clubs to ensure players are not pressured to return back during the campaign. A thorough screening is required of their commitment before they are selected. SRU should continue to raise these issues with WR for awareness and apply (appropriate) sanctions to the clubs (if found guilty) that are not complying with the Regulation 9 as to the players release. The selection of the team was done solely by the HC. SRU Board appointed a selection panel in early 2016 to assist the HC in the selection process so that all positions can be healthily debated but they were never used. The committee searched deeper into this and it was clear that the CEO had related the Board resolution to the HC and convened a meeting with the two selectors appointed. HC related that the contract was given to the GM of Rugby to officiate the appointments of the two selectors but this never was forthcoming. The HC explained that he was busy with other duties and this had slipped his mind. It was hard for the committee to accept this explanation. If anything is shows disrespect and insubordination by the GM and HC toward a decision by the Board. The HC admitted of being lonely in the selection decision making process and admitted that it was a mistake on his part to have ignored this as he needed a sounding board. For going forward it is a must for the HC to use the selection panel to ensure that each position and player is debated. The committee sensed the isolation and disconnect between the SRU Board, the HPU/MS team. There is an element of distrust existing in the two operations (SRU/HPU) especially towards operations and the decision-making processes. At the moment all staff appointments for the team are done by the HPU (GM and HC) including budgeting and planning with minimal input from SRU and the Board. The Committee was advised that for going forward, the High performance Committee is yet to be formed and finalized as provided by the new reforms which will be the link between the Board and the HPU. The HP Committee will be involved in these appointments as well as overseeing some of operations process. This will allow the SRU Board to be more informed and at least have a conduit to have some input into what at the end of the day it (SRU Board) is ultimately responsible. It is important to note that whilst the key decisions to run the MS are rested solely on the GM Rugby, MS HC and the CEO, the attacks and public criticism that are mounting at the failure of each campaigns are not limited to them but at times are mostly directed towards the Chairman and the Board. SRU had provided the team with everything that it required like players allowance, technical coaches, smartabase tracking system, player’s visitations, accommodation/travel and so forth. For the past two years (2016/2017) WR invested $2,571,111 towards the HPU program, and on top of that SRU provided $1,609,509ST (for same period) to cover allowances airfares accommodation and other team expenses. The committee however noted that of the $2.5m of WR investment, $1,564,535ST goes to the salaries of the 6 full time staffs. These salaries are in line with the High Performance salary cap amongst the other Tier 2 rugby nations. In essence the MS 15s cost makes up 80% of total funding from WR for HPU. This reflects the commitment by SRU to give priority to MS as its main team. We also appreciate that the reason for the SRU revenue is the MS. The team results for 2016 and in particular 2017 has directly impact the SRU ability to gain sponsorship and resulted in the drop of tickets sales in the recent campaigns. Note that MS is only team that has the ability to earn SRU revenues when it hosted local test matches. Committee identified that that there is great potential in the crop of new players coming through over the past two years. It is believed if they are nurtured properly they can be a force to be reckoned with in the near future. Some of the players are (based on performances of this past campaign) possibly getting past their peak to perform at this level and will need to phased out. There is a notable absence of any local based players in the team although this has been identified as part of the HPU Program and MS HC role is to develop local talents through the Samoa A and U.20 program. Few locals were selected in the past MS campaigns but were dropped as they failed to make the MS standard according to the HC. Some experienced players were not selected in the past MS campaigns but were dropped as they failed to make the MS standard according to the HC. Some experienced players were not selected due to personal reasons as well as injuries. Others were not considered although they are playing good rugby in their clubs. One senior player and former captain advised that the last time he had communication with HC was in May 2016 when he was injured. He was keen to be involved in the past two campaigns but had had no communication from HC. The HC however advised that this particular player is still in the scope of selection as this is one position that is weak in the team. The committee identified the lack of commitment and ownership by some of the players. It appears that there is very little or no pride at all (as was in past) in some of these players in wearing the national jersey. The disrespect for the jersey is also evident with reports coming in of certain players drinking at the hotel and out in local pubs, although this was denied by management as rumors. The Managers report showed that there was a no drinking policy but obviously this was poorly managed by him, as this was not adhered to. Team Leadership was also identified as a weakness and an area that will require change in future campaigns. It needs a new direction and influence where players need to buy in and believe in themselves by sharing a common goal and purpose. Players will need to take ownership of the team culture and playing for the MS should be a pinnacle of their playing career whereas the moment it is viewed as a hindrance by others. All players and management alike need to have the belief that it is an honor and privilege to represent Samoa that many others can only dream of. They need to understand the sacrifice that so many have made to get Samoa Rugby recognized around the world and that we are in danger of losing the respect that it deserves and that the country demands. 19/36 players and 7/11 management responded to the survey for the 2017 campaign. It appears from the player’s feedback that some felt that the leadership group had taken control of the team too much instead of management. There was also an issue of poor selection by HC and how some players are totally ignored when not selected. Communication channels between the management and players needed to improve especially some clarity around selection criteria. Other felt that the Manager was too hard and not approachable and needed improvement in this area. There has been mixed comments on the HC and other management performances. The HC of Manu Samoa is also a Director of Rugby as in the organisational structure. The HC reports to the General Manger of Rugby. HC is to provide technical assistance to the Coaches of the other National teams such as Samoa A, Samoa U.20, and the 10 Aside. It was noted that he had been heavily involved in the decision making of these teams as well as travelling on tour with them. Committee feels that the HC attention should be focused solely on MS and continue to give assistance to the local coaches and allow them to develop. He will need to minimise his involvement in key decisions making process of these teams and to travel occasionally with them if required. 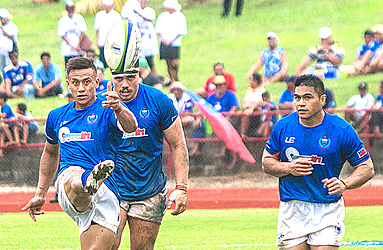 GM Rugby written Report speaks highly of the positive environment created at the HPU program and this has been transformed to all national teams including the Manu Samoa programme. There has been improvement in High Performance culture of the team, improvement with the high quality sports science and sports medicine as well as improvement in support staffs and systems. While this may have been the case, the committee viewed a lot of red flags which led to the failure of the MS and cannot help it but link them directly to the HPU programme in particularly the GM being the overall head of the program. Needless to say that the other National teams like Samoa A and Samoa U.20 all had failed campaigns in the past two years. The systems may have been improved but this does not reflect on the outcomes. This should call for a thorough review of the HPU program. There is no doubt that the WR had committed a big investment into the program but the return is not there. As a consequence of these negative outcomes, other tier two nations like Japan, Georgia and Fiji are now the targeted unions by WR and will have a higher share of WR funds. GM was not available to have an interview with the Committee as he was away. This is poor thing by the head of the HPU program, as reviews are always expected to be conducted at the end of campaigns. It is further noted that he is away at the most critical important time when the Super 9 local competition has just started. This raises question as to his loyalty to Samoa Rugby and its course. From the findings it is evident that SRU had provided the MS team with everything that is required of an international team despite the constraints on resources. Whilst the coming and going of TA Coaches could be a contributing factor to the poor results, the main area of concern is the poor condition of players they are in when they turned up for the campaign. This despite the measures in place which cost the SRU lots of monies, to ensure this will not happen again as this had been an ongoing problem for years, but now is getting worse. Players leaving the campaign without authorisation shows the disconnection between the players and management and more so the disrespect these players have towards the Team and HC let alone Samoa. There are myriad of other issues of concerns as identified above but the key problems we feel is the lack of attitude, lack of ownership and lack of respect by all involved to the team as a whole and the people they represent. Committee feel that there is very little or no more pride in wearing the Manu Samoa jersey. There is no doubt that there have been some positive developments that had been put in place as well as decisions made with all good intentions. As a result we now have new players that came through the current systems and processes, just about ready to embark on to the international world stage of rugby. The truth is the recent campaigns were a failure. The big question is whether the current leadership is able to take the MS to the last qualifying round to book a spot in the 2019 RWC and beyond. There is no doubt that MS not making to the 2019 RWC will become the biggest upset and set back to Samoa Rugby and all its works and investments in the past years. The current HC had the team for 3 campaigns now. Before that he was heavily involved as Assistant Coach from June 2014 up to the last RWC in 2015, a total of roughly 4 years with the team. HC shows eagerness to continue and had learned a lot from the past campaigns with a plan going forward. This was supported by the GM of Rugby and some of the players as in the survey. 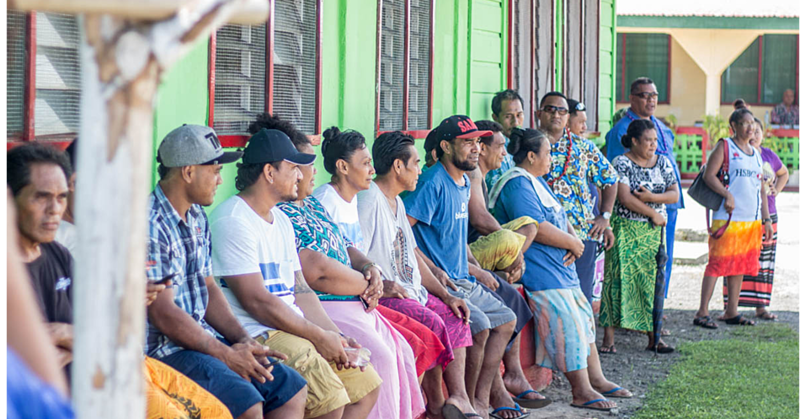 But can Samoa afford to wait longer? Committee feels that the HC had has enough time to make improvement in the team but despite all the support given, the team had reached an all-time low and the committee is not confident that he is able to take the team any further. 2. Once a new HC is appointed, they be empowered with the involvement of a Board Member and World Rugby to either continue with the existing MS staff or advertise the roles in the international market. 3. That a link between the SRU Board and HPU must be addressed promptly by appointing the HP committee as in the new Structure. 4. That the players that left the Team without proper authority must be sanctioned accordingly. 5. A letter from the CEO to the GM Rubgy and Head of S&C noting their current underperformance in some areas of their roles.